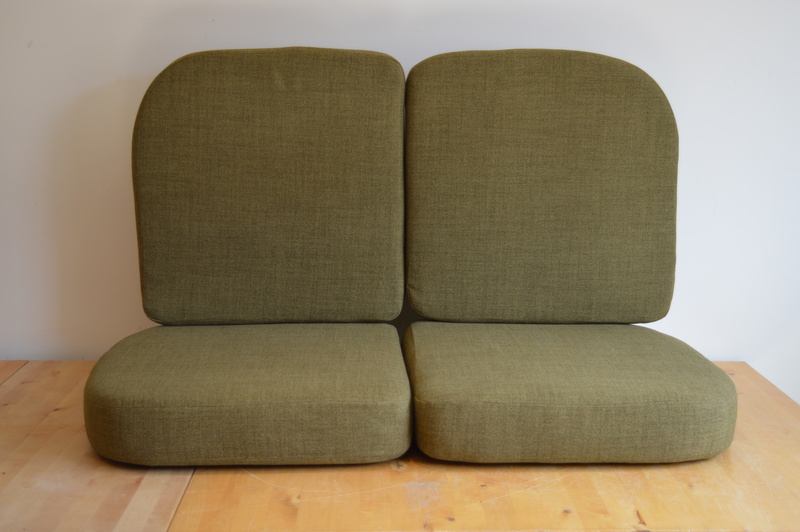 The cushions are made from top quality foam – 5″ Reflex for the seats and 4″ luxury foam for the backs. 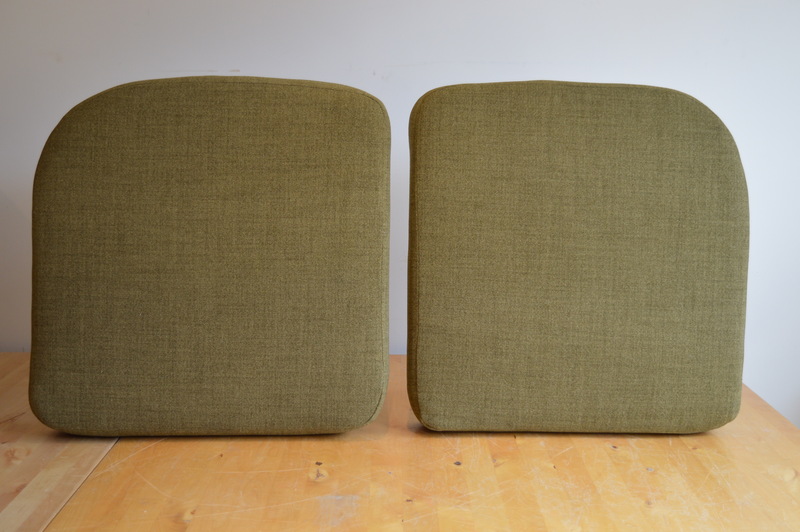 Cushions are made from a template to fit the 203/2, whilst the covers are handmade to ensure a perfectly fit with no creases, baggy corners or ripples. 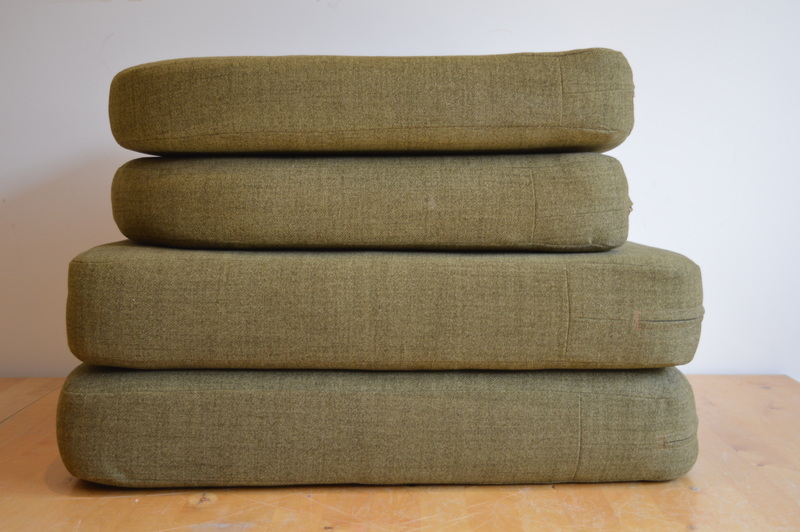 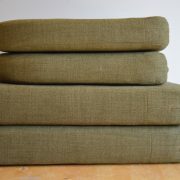 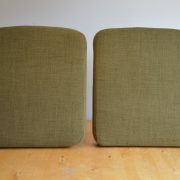 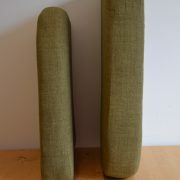 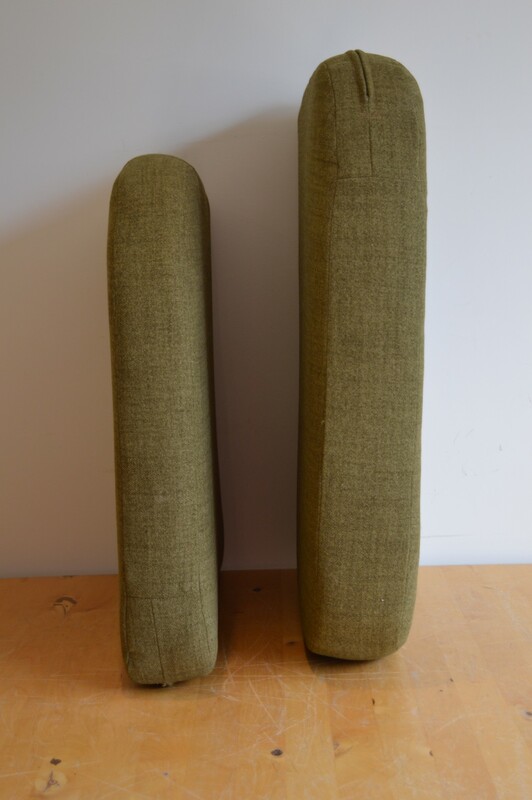 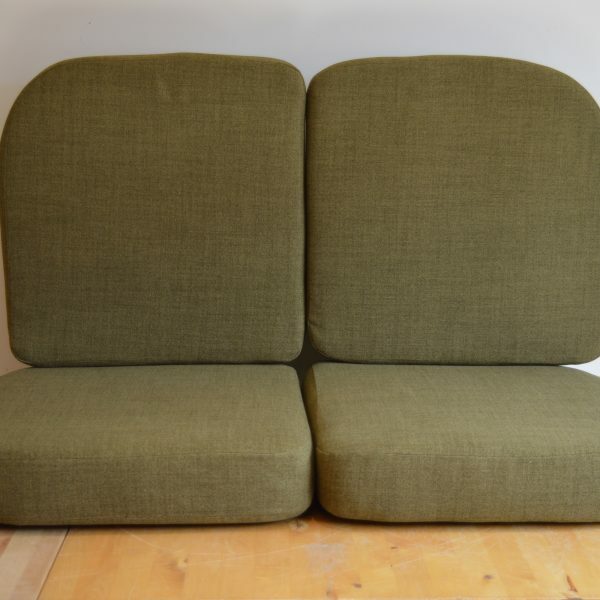 These cushions are covered in a soft green, slightly flecked design fabric; whilst soft to the touch, it is extremely durable. 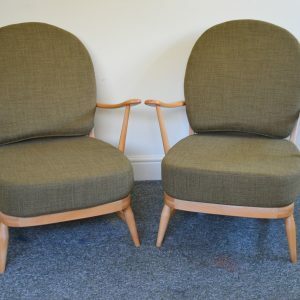 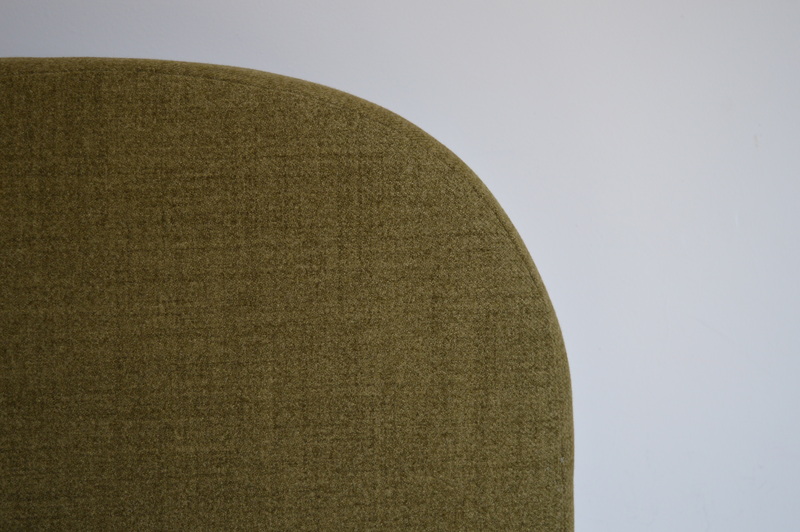 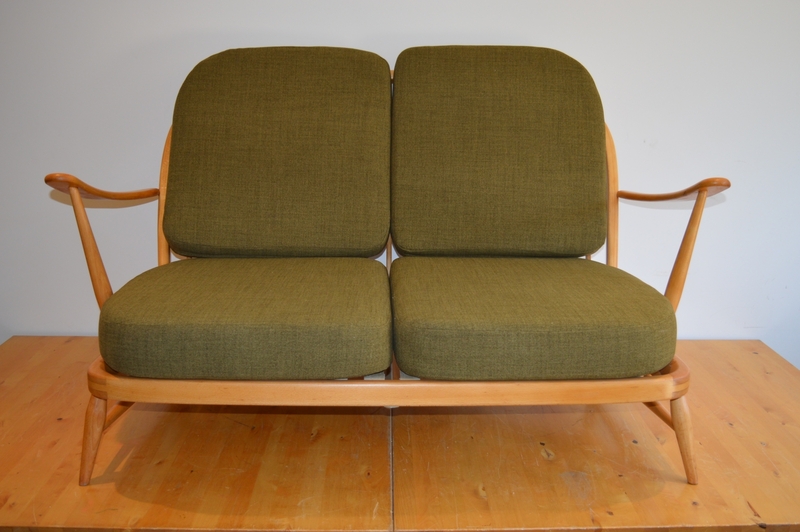 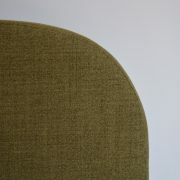 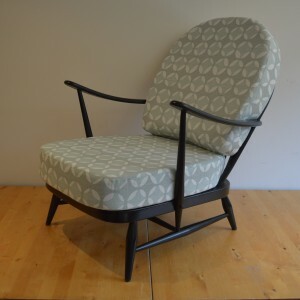 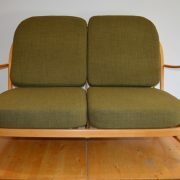 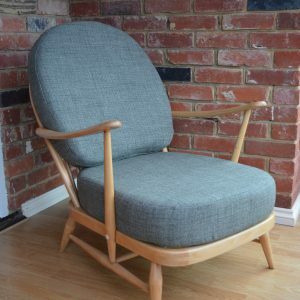 This fabric perfectly complements all Ercol frames, whether blond, Golden Dawn or the darker shades.